What's the deal with house edge, probability, and odds? Can’t decide between Blackjack, Roulette, or the slots? Think that playing multiple hands will improve your luck? Chances are you don’t understand odds, house edge, and probability in general. And that’s totally OK. There’s no shame in not getting the hang of it. Even some of the most seasoned casino players don’t really understand it. So today, we’re going to make everything as simple as possible. No hard mathematics to understand. No calculations to make. This is all about understanding how odds work in their most simple form. 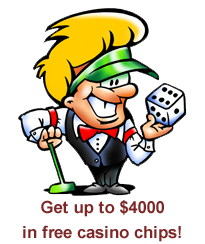 Whether you play online casino games or enjoy your favorites live, we hope you find it useful. In games of chance, like lotteries, bingo, slots, roulette, craps, baccarat, and keno, players have no actual opportunity to make a profit in the long term. Yes, players win big money playing these games. If they didn’t, casinos would be out of business because they’d have no customers. But because events of each bet are random and independent of one another, the outcomes aren’t predictable. Contrast that with games of skill and luck, like Blackjack and poker, for example. In these games, while a random number generator definitely is an important part of the equation, your success playing these games are dependent on your knowledge of the game, the strategies you employ, and the decisions you make while playing. If you’re a good player, you can minimize your losses with poor hands and maximize your winning potential with great hands. For casinos to make money on these games, particularly on games that involve both skill and luck, they have what’s called a house edge. In a nutshell, the house edge is less than the actual odds of winning. If a casino paid out the true odds, they’d end up staring a loss in the face. The house edge varies from game to game, but for the purpose of this article, let’s take a look at Roulette. The Roulette wheel has 36 numbers on it that are colored in black or red. There are also two green numbers—a single zero and a double zero. There are 38 numbers in all, but at first glance it almost seems like there are 36 numbers because most players don’t take the two zero spots into consideration. If you were to bet on evens or odds, red or black, or 1-18 or 19-36, you might think you have a 50/50 shot at being right. And that’s almost true. But the casino derives its house edge from the fact that you technically have an 18/38 at being right, which is actually a 47.36% chance of being right. Understanding odds in Roulette is the first step to getting a handle on how everything works, but does the same apply to the slots or games like Keno? This one is a little bit more complex. It turns out the odds of winning a top prize on a slot machine is a lot more difficult. For example, in Roulette, by betting on a single number, you have a 1 in 38 chance of hitting your number and earning payouts of 35:1. But a slot machine might offer far worse odds, usually bordering on something like 1 in 200,000. That number may seem enormous, but these slots tend to pay out more than 35 to 1. For example, hitting the top prize could pay out 8,000x your original bet. So if you had bet $10, you’re suddenly staring $80,000 in the face. Contrast that with the $350 you would have won had the best possible Roulette bet paid out in your favor. But the odds of actually hitting that payout on a slots machine are miniscule. For that reason, slots are built with specific payouts based on probability and odds. Since these machines are less likely to pay out top prizes, they are more likely to pay out smaller prizes more frequently. That’s why slot players enjoy frequent wins. If your idea of improving your odds and decreasing the house edge involves playing multiple hands or placing multiple bets, you might not want to read what we have to see. It turns out it doesn’t do much from a probability standpoint, except of course increase your odds of losing double the amount of money. Remember, when a bet is doubled, the expected loss also gets doubled, leading to greater losses in the long run. Of course, there are some exceptions. For example, playing multiple sections of the Roulette board can help. While such a strategy might lead to greater losses when that loss happens, the losses end up being less frequent. When you’re ready to play for real money and win actual cash, one deposit gets you access to the real games. And when you take advantage of casino welcome bonus, you’ll have more ammo to do damage at the tables and slots with.